Walk with us and support mental health! Your tax deductible donation makes a difference! Your support makes research grants, legislative efforts, programs, and community outreach possible! You can give to support our community, honor a loved one, support the cause, or give the gift of a charitable donation. Donating on a friend or family member's page is a great way to show your support of their efforts too! WORLD SUICIDE PREVENTION DAY is an opportunity for all sectors of the community - the public, charitable organizations, communities, researchers, clinicians, practitioners, politicians and policy makers, volunteers, those bereaved by suicide, other interested groups and individuals - to join with the International Association for Suicide Prevention and the WHO to focus public attention on the unacceptable burden and costs of suicidal behaviours with diverse activities to promote understanding about suicide and highlight effective prevention activities. 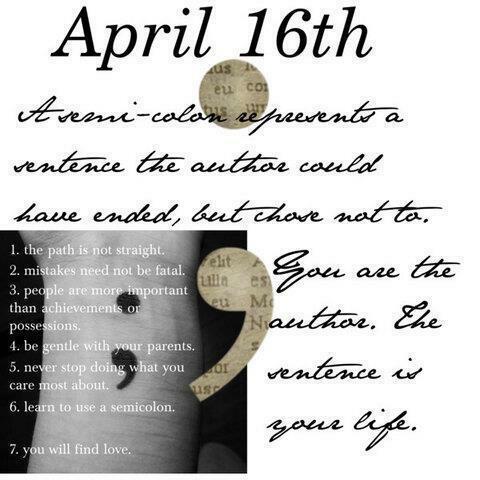 Project Semicolon is an organizations dedicated to the prevention of suicide. Our work is based on the foundation and belief that suicide is preventable and everyone has a role to play in preventing suicide. Through raising public awareness, educating communities, and equipping every person with the right tools, we know we can save lives. 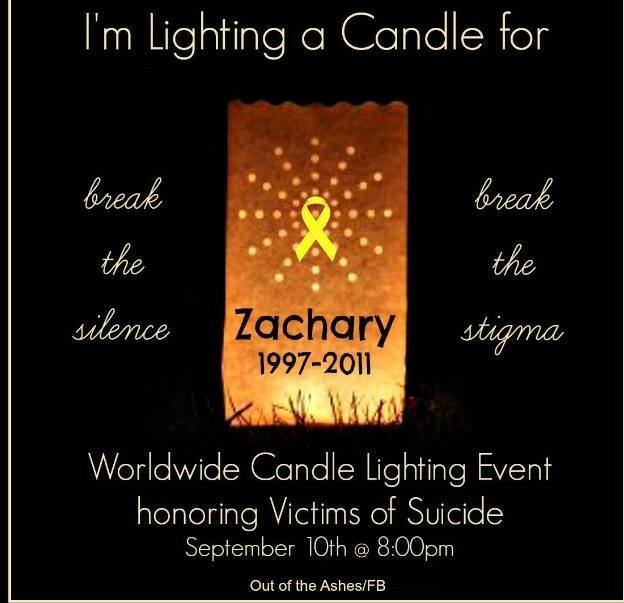 Now believed to be the largest mass candle lighting on the globe, the 18th annual Worldwide Candle Lighting, a gift to the bereavement community from The Compassionate Friends, creates a virtual 24-hour wave of light as it moves from time zone to time zone. 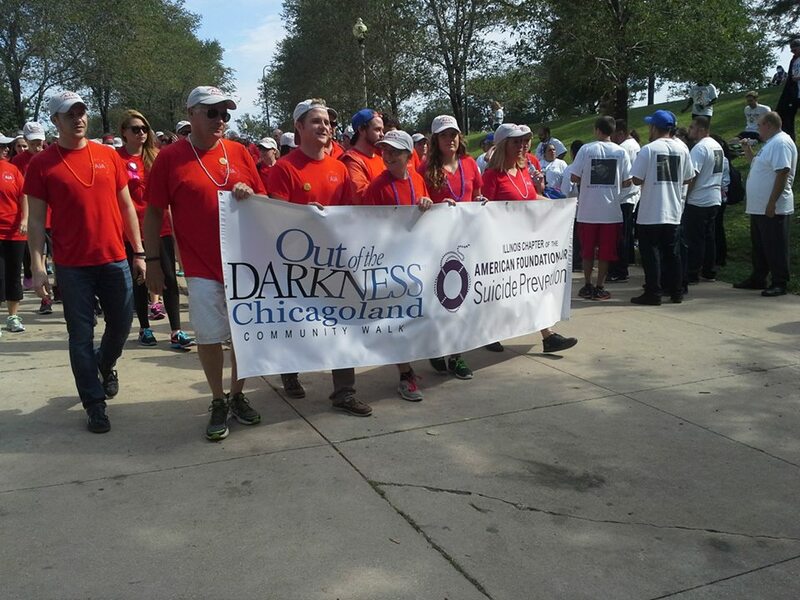 We will be joining with thousands of people nationwide this fall to walk in AFSP's Chicagoland Out of the Darkness Walk. Out of the Darkness Community Walk to benefit the American Foundation for Suicide Prevention. The American Foundation for Suicide Prevention is at the forefront of research, education and prevention initiatives designed to reduce loss of life from suicide. 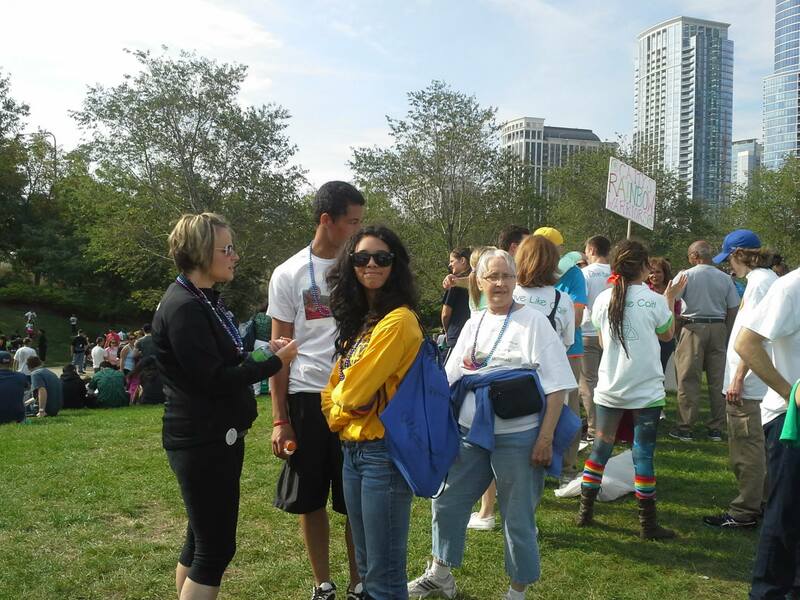 Walk two miles along beautiful Lake Michigan to support the incredibly important cause of suicide prevention. 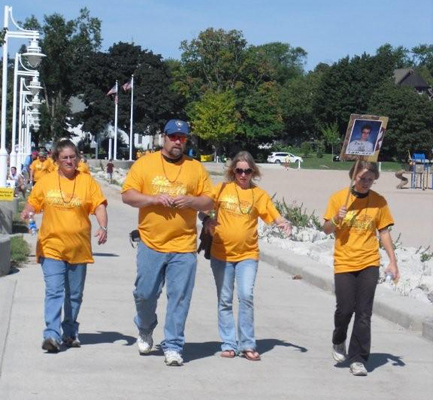 Please visit our website to learn more and see pictures of last year's walk: www.mhasheboygan.org.